Rope, anchors and navy blue and white stripes; no wonder this diy got my attention the first moment I stumbled upon it. These rope coasters are easy to make and would look so great on any nautical themed dinner or party. Actually, see for yourself. Now, if you'd like to make your own you can follow Megan's tutorial here. P.s. If you're not the crafty type you can buy these similar ones. 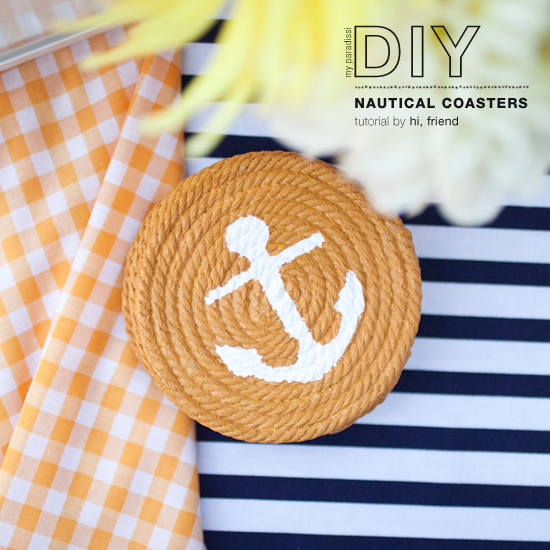 1 comment on "DIY: Nautical coasters"
I love these coasters! I love the anchor detail! Happy Friday! !